“The New Alimony Law: A Primer for the Public” on May 15, 2012 from 7:00 to 9:00 p.m. at the Weston Public Library community room, Weston, MA. David L. Rubin, Esq., and Debra L. Smith, Esq., attorneys practicing divorce and family law, will speak on the numerous changes made to the Massachusetts Alimony Law, which has not been updated in 30 years. The changes were prompted by the Alimony Reform Act of 2011 and were effective March 1. The Massachusetts Alimony Reform Act of 2011 changed when and how alimony can be ordered, and when and how alimony orders can be ended. The new law affects anyone who currently is or may be receiving alimony. The factors that will determine the type, amount and duration of alimony. The Weston Library is located at 87 School Street, Weston, MA. This seminar is offered free of charge, however a donation of $20 is suggested. 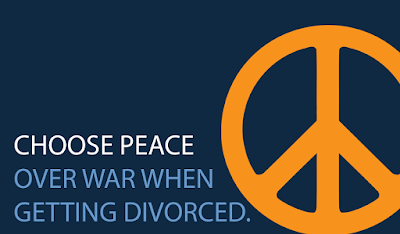 For more information on “The New Alimony Law: A Primer for the Public” and to register for the seminar, visit: http://thedivorcecenter.org/public/seminars.php. The new Massachusetts Alimony Law states that the amount of alimony should not exceed the recipient’s need or 30-35% of the difference between the two parties’ incomes. Also, the income considered when setting alimony orders does not include capital gains income and interest and dividend income from assets already divided. When modifying orders, income from a second job or overtime is excluded if the party works more than a single full-time equivalent position, or if the second job or overtime started after entry of the initial order. The general alimony term ends upon the death of the payor or recipient, remarriage of the recipient, the payor attaining the full retirement age, co-habitation of the recipient with another person for a continuous period of at least three months, or the expiration of the duration formula, which is based on the length of the marriage. Helping professionals from various disciplines improve the service they provide to their divorcing clients. The organization offers its expertise and compassion to all those who need it — individuals and families, divorce professionals, religious groups, parent organizations, non-profit groups, and others who can benefit from the professional programs, public education and support groups. What does a Collaborative Law Coach do? Should Shared Parenting be Presumptive?